In a world where health problems and hospitals are multiplying by the day, Aster Hospital aims to make a difference, with its patient-centric approach to medical care. Everything here is designed keeping in mind the comfort of patients. The spacious interiors, advanced facilities, and healthcare experts create a positive ambience that’s conducive to healing. 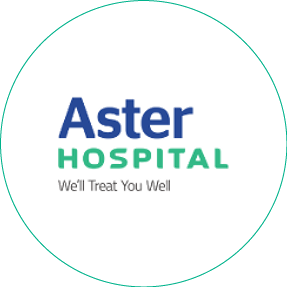 A state-of-the-art multispeciality hospital, Aster Hospital is a 100 bedded medical facility where doctors adopt a multidisciplinary approach to provide holistic treatment to patients. Building on the trust in us over the last 27 years, we have evolved into a leading healthcare network with 280 medical establishments across 9 countries, including hospitals, clinics, and pharmacies. Equipped with the most advanced Neonatal Intensive Care Unit in UAE, Aster Hospital offers multispeciality medical and surgical care all under one roof. All departments are fully equipped facilities with specialized medical teams comprising consultants, surgeons, trained nurses, technicians and ancillary staff.